Hello! It is Product Review Friday! 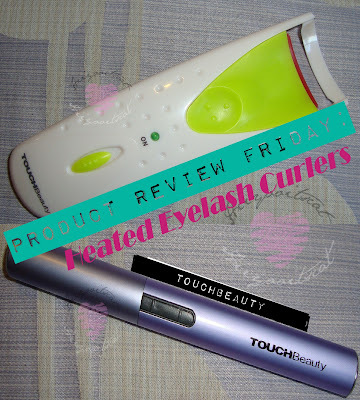 This week I will be reviewing 2 heated eyelash curlers by TouchBeauty. I bought both from ebay, one is a wand type and the other is your standard eyelash curler. *Please read on to find out how this product worked for me. First, I will be starting off describing my eyelashes. Have you ever heard of the phrase "cow lashes".. that is just what mine are like. They just stick straight downward. It is so hard for me to keep my eyelashes curled. I have not found an eyelash curler I liked, which is why i wanted to try an heated eyelash curler. Since there were 2 different kinds i wasn't sure which one to get, so I decided to grab both =)! By the way, in-case you guys ask, I used Blinc Mascara for this review. It takes 1 AAA Battery. I like to use rechargeable batteries, saves me money and time from going to the store. It has an on and off switch on the side of the wand. You will know it is on, when the green light "lights up" and you will know when it is hot when you see the wand turning slightly red, you will also feel the heat when you place your finger over the comb. Here you can see my "cow lashes" in the before.. and the after effect of the wand. 4/5: It takes a long time to curl my lashes =.= (minus 1).. It works better and faster when your lashes are coated with mascara. You can feel the heat from the wand.. so be careful when using it near your tear ducts. When using it before mascara it feels like it doesnt do much, but as soon as i put on that mascara.. it's like ba bam "time to curl"... lol! You also want to use it while your mascara is still wet and NOT dry. It has a better effect that way. I like how it gives a very natural effect. Even though this wand does take some time to give you a nice curl. It works well and I catch myself using it all the time; of course when I have time to spare. The curl holds for a long time as well =)..
P.S: It works better with a fresh battery. It takes about 20-30sec to heat up.. but I like to wait a full minute. The newer the battery the better/higher the heat. This eyelash curler comes in a variety of colors =).. but they send you a random color. If you plan on purchasing one of these from this seller, try putting a note requesting which color you like and see if you get it. I forgot to do that when I was ordering my curler =.=. It takes 2 AAA batteries. Works better with fresher batteries vs old ones. You know when its not on when the grip on the curler is red. The switch for the curler is under the on light. You will know when it is on because a green like will come on. The grip will turn clear when your eyelash curler is heated. I just wanted to show you guys an up close of curling my lashes. One of the reasons i like this curler is because it fits my eye shape well, and grabs all of my eyelashes. The before and the after. This curler curls my lashes really well and i have to say holds the curl better and longer than the wand version. It gives a more noticeable curl as well. 5/5: yep! you saw it right. I gave it a 5 out of 5!.. I have to say that I really love this eyelash curler. It is the first curler that was able to curl every single one of my eyelash hairs and keep the curl. It is a lot faster than the wand as well. I use this product everyday, usually when I wake up late for school. The grip is quite slippery, sometimes my eyelashes slip off of the grip. Like the wand, this curler works better with mascara, so don't sit there for 2-3 minutes trying to curl your eyelashes without mascara. Just pop on that mascara, use the curler and bam! you are out the door. I always wear false lashes when I do my makeup. Mainly because my lashes are short.. but the other reason is because my lashes are hard to curl and keep curled. Lately I have not been wearing false lashes with my makeup, unless it's "Make Me Up Wednesday" or when I want that extra ooh la la look.. haha. For the price I paid for both products.. I am a satisfied customer and has found my staple eyelash curler. I hope you enjoyed this review. What do you think? will you be picking up one of these for yourself? or do you already own one?.. See you back here on Sunday for "Haulin' Sunday"
Heated curling wands scare me! It looks like they work really well though. I can't believe you got one for under $3. Great blog too. 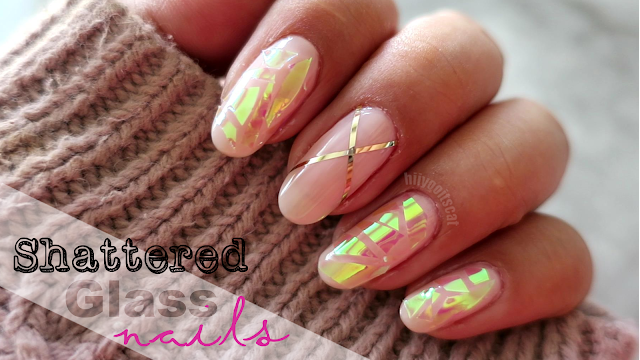 I found you through the Brightside Beauty Bloghop. Ohhh. I always wanted to try this. Thanks for sharing. I think I will now. I've heard about heated curlers and always wondered how well they worked, and from your post looks like they're not too shabby :) Great review! I'm interested in this but don't know how it really works, thank you for reviewing this. It's a great help! PS. Is it really hot or just warm? I'm afraid it'll burn my skin if I accidentally touch it. Its more like really warm.. It won't burn your skin =).. The only thing is you can feel the heat more when its used to curl your inner lashes.. so you shouldnt hold it long there.. the one shaped like a regular eyelash curler doesnt heat up that much or you cannot really feel it. I love all articles about eyelashes, mascara, as I have really straight lashes and when properly curled makes my eyes look bigger and gorgeous.. I so love sharing with others about great products I have tried ~ The best ever`` heated eyelash curler I have ever found is the Hot Lashes eyelash curler, makeup Artist kit. Loved the reviews on Amazon and was impressed. There is also a site of the same name Hot Lashes.com. I will def. check it out! Thank you for dropping by! How is this tools now? Do you still use it?